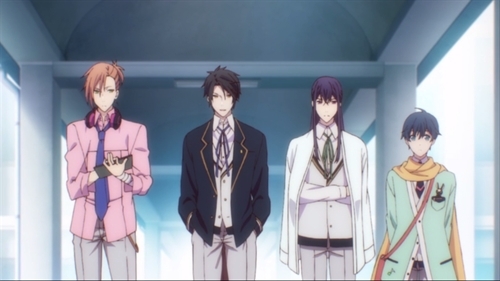 Synopsis: Koma "Jay" Jinguji is a very smart handsome and very popular student council president. His elegant smile will usually capture the hearts of any women who see it. Tsubasa Hayakawa is a multi-talented and gentle shop assistant at a local cafe. His cafe latte art is very popular with the female customers. These two men must travel through time to fight their archenemy; but there is a problem, Jay has partial memory loss and gets vague clues as fragments of memory resurface. He knows that somehow Hayakawa is linked to these missing memories and he must find out what he has lost before something terrible happens!